We put together this guide as a starting point for how to get a car dealer license. Please note that we, Surety Solutions, are just the surety bonding agency that issues the surety bond,otherwise known as the Motor Vehicle Dealer Bond, that you need to get licensed. The rest of the footwork, paperwork, and requirements must be completed by you, and then must be turned into your state's licensing department. All steps, requirements, and regulations should be cross-checked with your state's licensing board before submitting. If you do not put a title into your name before selling it, you are committing the illegal act of title-jumping. Read about the dangers here. Most states have a cap to how many vehicles you can sell per year before you must get a dealer license. Check with your state's licensing board about this cap. You need a dealer license if you want to flip cars for a profit. This guide will provide you with what you need to get started. Still not sure if you need a dealer license? Check out our video or read our full length post "Do I Need a Dealer License To Sell Cars". The following steps are just a basic overview of what might be required of you. Every state will have different requirements for you to get a dealer license. Contact your local DMV or DOL (Department of Licensing) to get the correct requirements. List of state DMV contact information. We made a step-by-step tutorials on how to meet your requirements: Find out your state requirements. For more information on the Motor Vehicle Dealer Bond, please see the Motor Vehicle Dealer Bond section on this page (below). Send your car dealer license application, car dealer bond, proof of insurance, and all other necessary papers to your local DMV or Auto Dealer Licensing Service Department…and wait to be approved! We wrote an extended post on how to get a dealer license here. We also wrote state-specific tutorials at this link. The rest of this guide will touch on common questions and concerns related to getting a dealer license. Getting a car dealer license with a felony is not impossible. There are cases where you will have a more difficult time getting a car dealer license with a previous felony. For example, if you have been convicted of a motor vehicle dealer crime, you will more than likely not be granted a license. 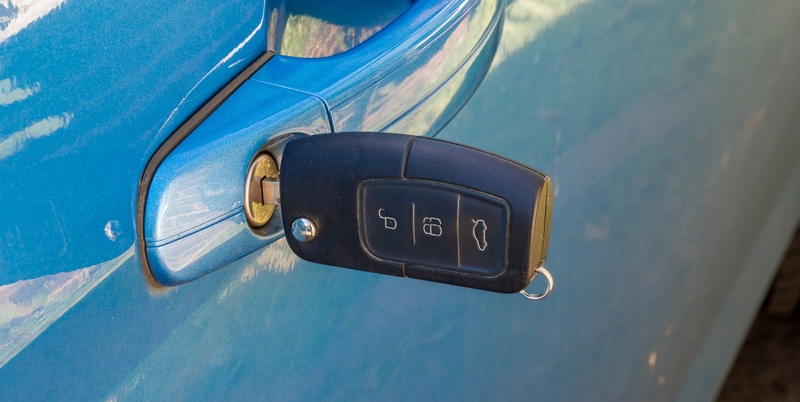 If you have been convicted of a non-violent, non-motor vehicle dealer crime, this most likely will not affect your ability to get approved for a dealer license. Note that many states prevent a felony conviction from acting as an automatic bar to employment. Here is an overview of 14 state laws that ban discrimination by employers. If you are worried about a previous felony on your record, consider applying for what's called an "abbreviated application". An abbreviated application will allow you to see if you would be granted a license before going through all the other requirements. Not all states allow for abbreviated applications, though, so be sure to check your state's licensing board or DMV staff about this option. A Motor Vehicle Dealer Bond (also known as an Auto Dealer Bond, Dealer Bond, or MVD Bond) is a type of surety bond that auto dealers need before they can get licensed. This is not the same as insurance. In fact, the bond does not protect you (the dealer). It protects your customers. Think of an Auto Dealer Bond as insurance for your customers, paid by you. If someone feels you are not fulfilling your obligations as a dealer, they can make a claim against your bond, kind of like someone can make a claim against your insurance policy if you hit their car. If you follow the rules of the industry and sell vehicles ethically and honestly, you probably will not see any claims against your bond. What happens if a claim is made against my bond? Learn more about the motor vehicle dealer bond claim process and how to avoid it. The bond amount is set by your state. You can find out your bond amount with our interactive calculator. Bond amounts generally range from $5,000 - $100,000. You will pay a portion of the bond amount, generally somewhere between 1-15% of the bond amount. The rate you pay is largely based off your personal credit score. You can learn more here. Here's an approximate price chart in relation to credit scores to help you better understand what you might pay. These are not monthly prices. Usually, you pay for your bond per year. If you are worried about paying for your bond, or if you have bad credit, it's okay. Our best advice is to apply for your dealer bond anyway. It is 100% free and it starts a conversation with a surety company. Can I use my house as a dealer lot? Many states have statutes that specifically state your dealership location cannot be a residence. Some states are less ridgid. You should contact your state's licensing board about location requirements. How much does a dealer license cost? What kind of dealer licenses are there? Please read our Motor Vehicle Dealer License FAQ. Learn how to get a dealer license in every state! Very smooth process and very responsive to all of our questions. Would recommend to anyone looking for a surety bond. Glad we decided to go with them from the start. Great people to work with, friendly, extremely efficient, and did I say great prices!